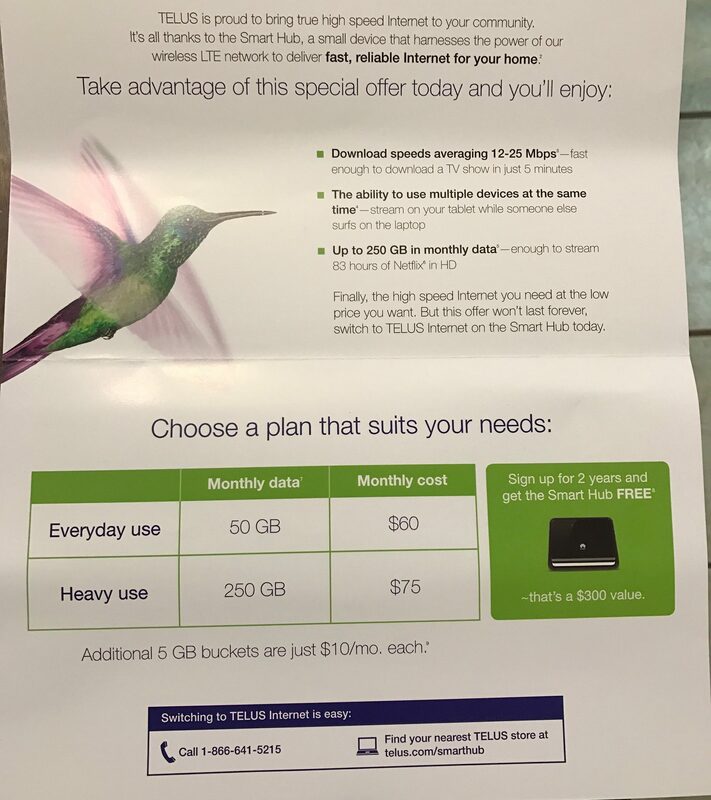 Seems like Telus is launching some excellent 4g LTE smarthub data plans. Might be useful for people out of range from cable, vdsl, and fiber. Last edited by U4LIFE on Nov 3rd, 2016 5:14 pm, edited 2 times in total. Wow that's a smoking deal, if that is real. How can I get that deal? Would be perfect for me, I live in the country. Could be really nice in the car, though a bit expensive for that purpose alone. HOLY MOLY! Does it require contract? It is almost worth it to buy the plan only to gut the LTE hub for the SIM card to put into a phone! Last edited by chiisana on Nov 2nd, 2016 11:23 pm, edited 1 time in total. Officially I believe this requires a "rural" address. Not sure how strict that is though. Just spoke to a Telus rep. It is only available in Alberta and BC. The Plan is available on a LTE SIM card that can only be used in the smart hub that is included in the plan apparently. The LTE SIM card apparently cannot be used in any other device, or hotspot, which I found very strange (I was hoping to use in a wireless hotspot that I could carry around with me). I will try calling again tomorrow see If I can hook myself up with this plan, I am assuming half of RFDers not located in rural Alberta will do the same thing. I find something very strange about this plan. It's way too good to be true, they must have the system locked down pretty good or thousands of people are gonna abuse this plan. Am I understanding something wrong? Good luck to anyone who can get it, so far I believe it's just rural AB/BC, but who knows. 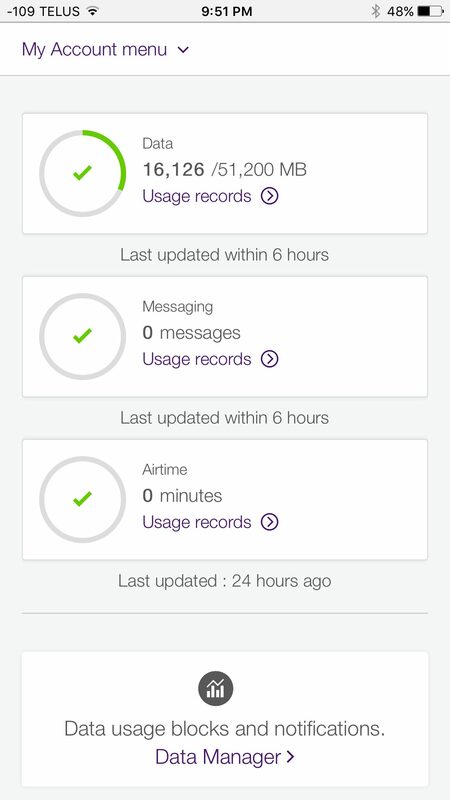 So far so good, might have to move from the 50gb to the 250gb, using more data that expected. I almost had a heart attack and am now horribly disappointed that I live in Ontario. My rural Internet provider is terrible. I pay $100/month for a 7mb connection and it's pretty well unusable at peak. I usually just Hotspot my 6gb telus phone data plan to play computer games. Last edited by Bawler on Nov 2nd, 2016 11:54 pm, edited 1 time in total. The SIM card may be restricted to the hub only, however, if someone manages to do a SIM swap and put it into a dual SIM cell. 50GB for a cell phone data plan! Bell is terrible. I'd be so nice if they disappeared and Telus took over central Canada.